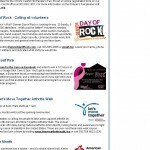 Susan G. Komen received their largest single day fan accumulation since April of 2010 (Susan G. Komen acquired 86 fans in one day, May 1). 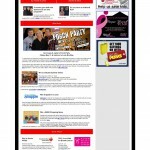 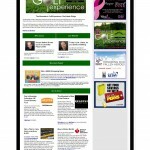 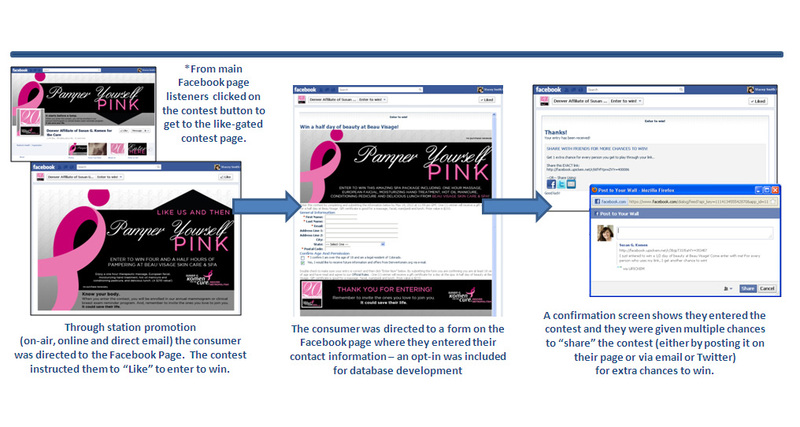 In addition, they received 106 entries for their online facebook contest, with 55% opt-ins. 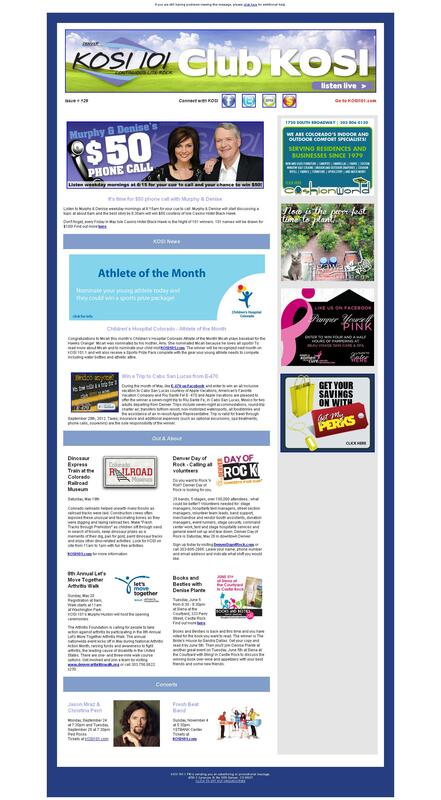 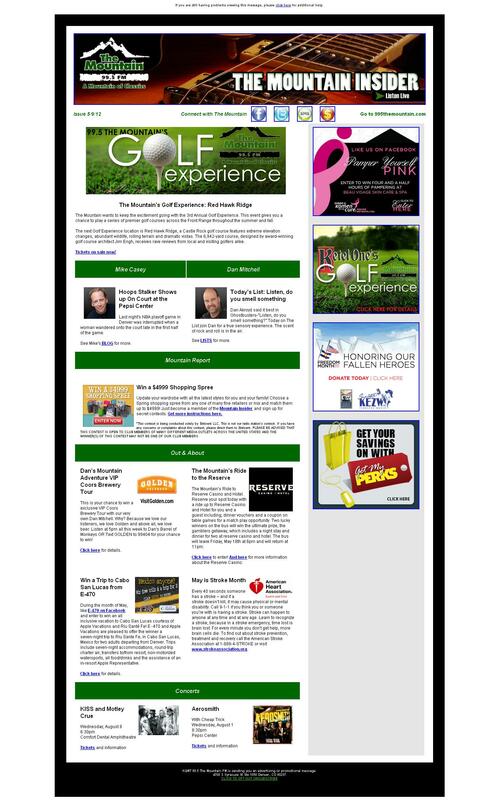 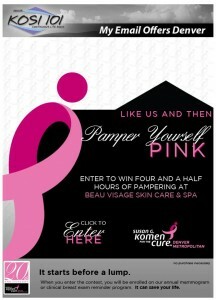 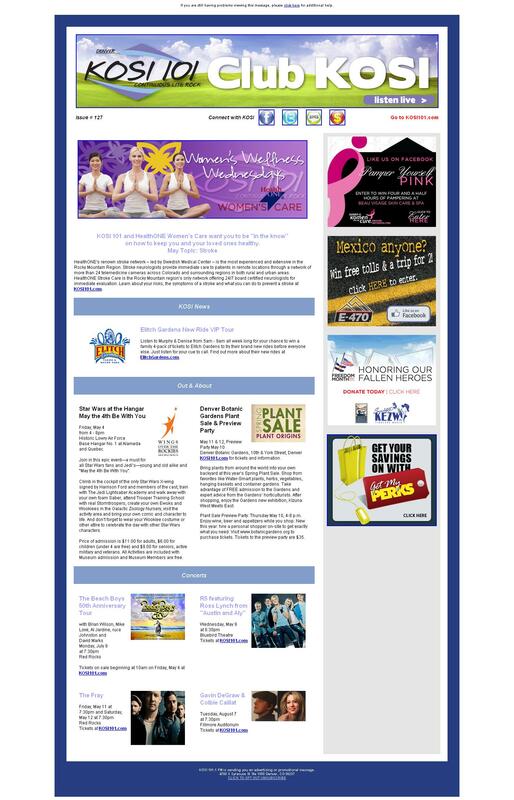 •Susan G. Komen received 34,437 banner ad impressions throughout the KOSI 101 website directing visitors to their Facebook page and listed on the KOSI Cares page. 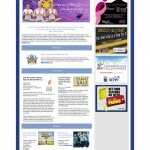 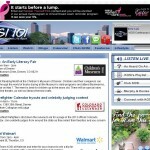 •A dedicated email was sent out to KOSI’s database of 21,694 listeners specifically for Susan G. Komen. 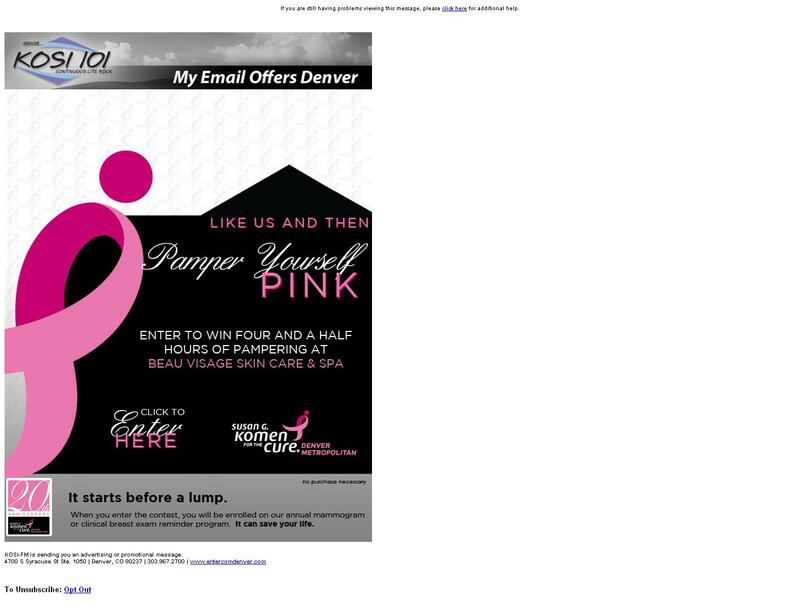 •KOSI 101 aired 30 branded Susan G. Komen “Know Your Body” Remind Me commercial spots between April 16th and May 13th.